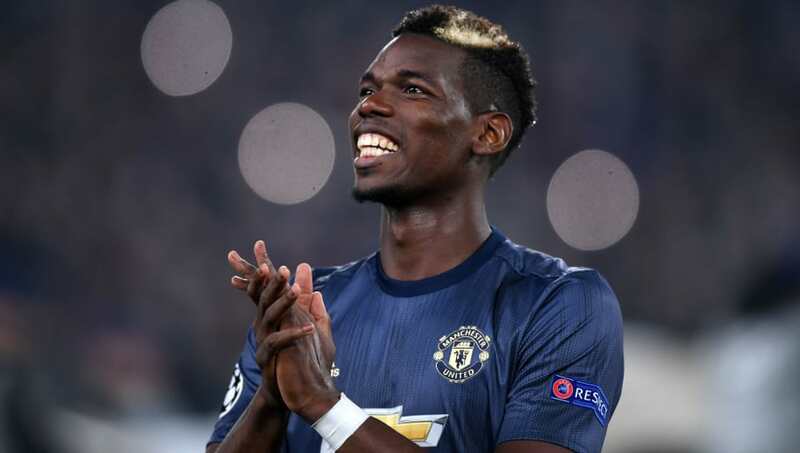 Manchester United are in the midst of a mid-season, warm weather training camp in Dubai ahead of their Premier League clash with Tottenham Hotspur on Sunday, but a recent video that the club has shared shows that Paul Pogba still has ice running through his veins. The France international was sat down by the side of a training pitch for an interview where he was talking about the club's plans for this season, but it was interrupted when one of his teammates fired a ball towards the World Cup-winning midfielder. Pogba only turned around at the very last minute and he had less than one second to react before the pinged effort, which was heading straight for him and one of the cameramen, disrupted the interview in what would have been quite spectacular fashion. Instead, Pogba nonchalantly stuck his left foot out and spectacularly controlled the ball halfway through his sentence, before simply carrying on with his answer as if nothing had happened, all the while the journalist and cameraman were breathing a sigh of relief. Pogba's mouthwatering (and potentially rage-inducing, if you're Graeme Souness at least) touch was made all the more outstanding after fans pointed out the revitalised midfielder wasn't even wearing any football boots. The Frenchman has been in fine form over the last month, scoring four goals and claiming three assists following Ole Gunnar Solskjaer's appointment at Old Trafford, and he's expected to play a vital role in Manchester United's match against Spurs this weekend.